Pure Storage, a flash-storage company backed by venture investors Greylock Partners, Index Ventures, and Tiger Global, filed its S-1 with the SEC on August 12th, 2015, indicating their plans for an Initial Public Offering (IPO). An S-1 filing is usually the first detailed glimpse into a company's financials (and can be found here), and is required before a company sells stock to the public and trades on a national stock exchange. 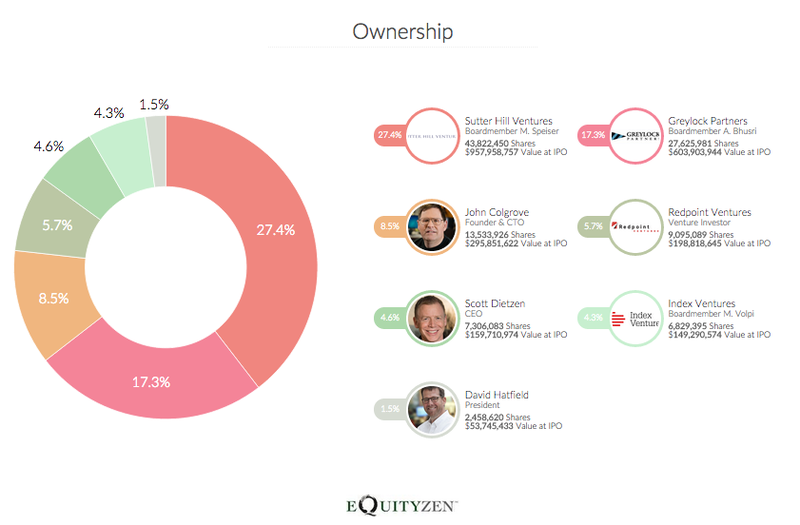 We at EquityZen wanted to take a look at what the company's IPO might look like. Given this, we should expect to Pure Storage to price and trade for the first time around September 23rd (assuming no extraneous factors, such as we have recently seen with recent market movements). 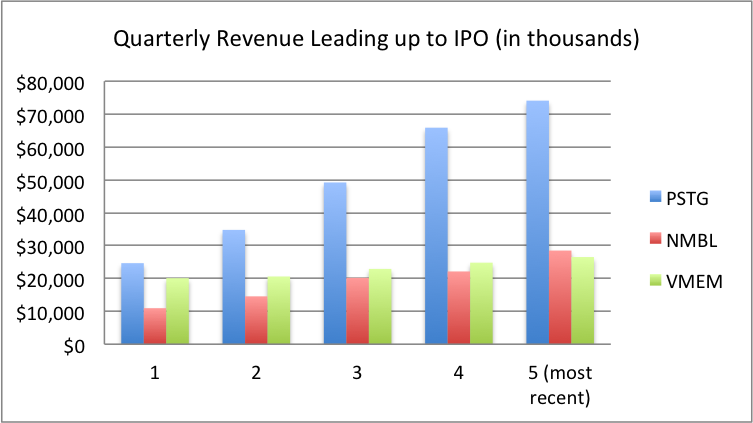 What factors should we take into account for the IPO? Additionally, Pure Storage operates in the flash storage sector, similar to competitors Violin Memory (VMEM) and Nimble Storage (NMBL), both publicly-traded companies backed by VCs and with IPOs in the past 2 years. 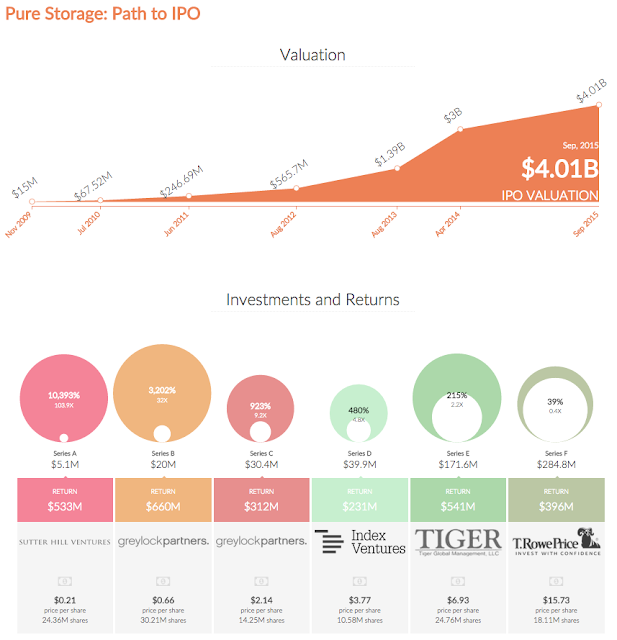 So how does Pure Storage (PSTG) stack against these two companies at the time of their IPOs? Compared to its public competitors, Pure Storage is clearly a much larger company (at the time of IPO) in terms of revenue, reporting $174M in 2014 (compared to VMEM's $74M and NMBL's $54M at the time of their IPOs). 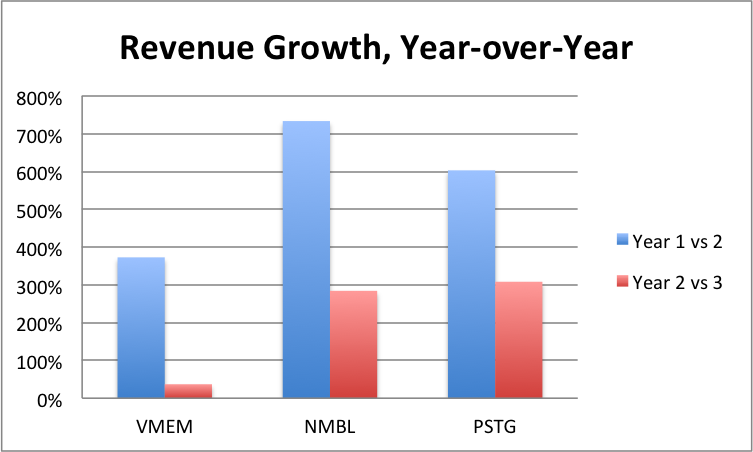 Additionally, PSTG has shown 308% year-over-year revenue, comparable to NMBL's growth leading up to their IPO. 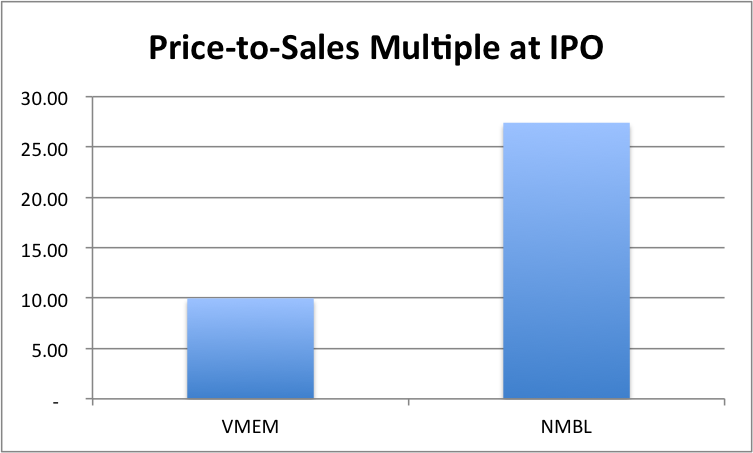 For this reason, Pure Storage will likely be valued on a price-to-sales ratio similar to that of NMBL. At 23x sales, Pure Storage would have a market cap of $4.01B ($174M * 23). Additionally, their IPO would be 13% of the $4.01B, so $522M. What does that mean for their earlier investors? At a $4.01B valuation, Pure Storage shares would price at $21.86/share, representing a modest 39% return for their last private investors in April 2014. But Phil, I prefer pictures. Okay, fine. Here's what that looks like. Early investors Sutter Hill Ventures first invested at $0.21 per share and stand to make a 100x+ return. Greylock Partners and other early investors will fare well, too, earning 32x their Series B investment price.